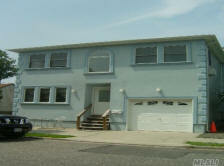 3Bed/2-1/2Bath Whole house - Available 1/1/2010 - $2,900/month - Two-month security deposit. Two-month security deposit. Hardwood floors throughout, Gas Fireplace with granite mantel, Jacuzzi tub in master bath, Washer/Dryer, Microwave, Dishwasher, one-car garage. In the center of the Westend. Just a few blocks from the ocean and the bay. 3Bed/2Bath Entire house - $3,600/month - Two-month security deposit. Hardwood floors throughout, Gas Fireplace with granite mantel, Jacuzzi tub in master bath, Washer/Dryer, Microwave, Dishwasher, one-car garage..
3Bed+Loft/2Bath - Available 1/1/2010 - $2,800/month - Two-month security deposit - This apt. offers a lot of natural light - Sky lights in Living/Dining and loft area. Includes the use of the garage and driveway. 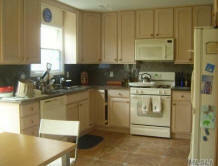 Hardwood floors throughout, Jacuzzi tub in master bath, Balcony off master bed. 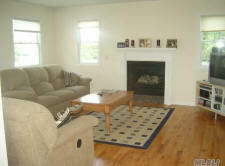 Elegantly tiled bathrooms, Gas fireplace with granite mantel, Granite counter tops.